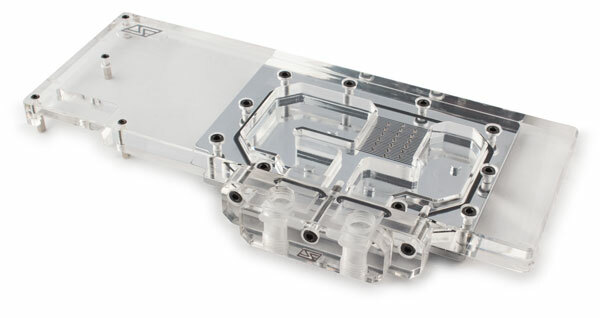 The Komodo™ RX-ECO VEGA full cover VGA waterblock is a high performance cooling solution with advanced thermal design and low flow restriction, compatible with AMD Radeon RX Vega and Frontier reference PCB graphics cards. The coolant flow path includes all critical components such as GPU, memory, power mosfets as well as all other power components that are contacted in AMD's reference coling solution. Proper cooling of all the critical components contributes to overclocking stability, reliable operations, and longevity of the graphics card. The block also covers the entire PCB, leaving no components exposed to possible damages during handling. Back-plate: the precision-machined billet aluminum back-plate, features a black-anodized silky smooth surface finish, and is intended to protect the fragile components found on the back of the graphics card PCB as well as providing a perfectly finished high-end "factory" look to the entire assembly. LS80 lightstrip: the LS80 lightstrip features 4 Addressable RGB LED's compatible with Swiftech Iris-Eco LED controller found in the award winning Drive X2 CPU cooling kits. This accessory can be installed in existing mounting holes on the side of the housing. Thanks to this option, users can now control the entire lighting/color theme of their build at the touch of a button. 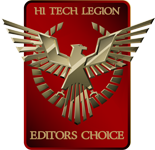 The Iris-Eco light controller is necessary to operate the LS80 lightstrip, and is sold separately. 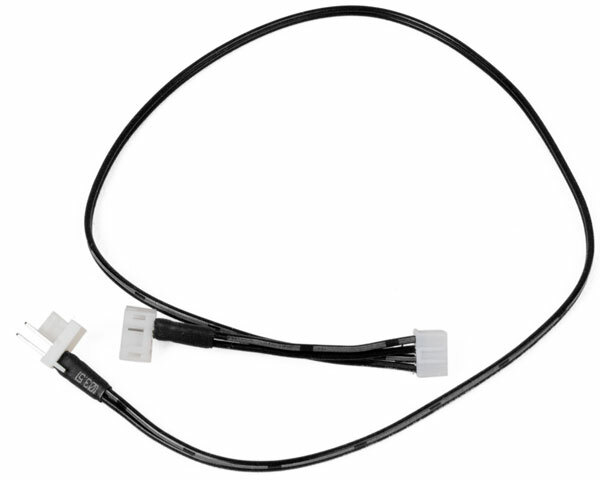 See LS80 Lightstrip product page. Iris-Eco Light controller: the Iris-Eco is a multi-function device including both light control and PWM signal splitting functionalities. 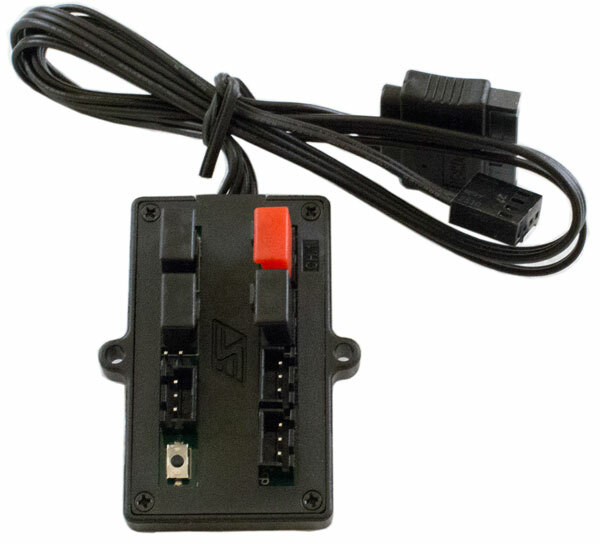 The on board light controller chip provides 8 color choices + 3 dimming settings; the PCB is populated with three 3-pin ALED connectors, one push-button switch for light control, and one 2-pin connector for remote light control. See Iris-Eco product page. Crossfire installations: Fully compatible with Swiftech's new Universal bridges. See the bridges product page. Why is the Komodo a superior cooling solution ? Two Komodo RX-ECO Vega waterblocks can be interconnected using Lok-Seal™ adjustable connector fittings, or the Universal Swiftech SLI/Crossfire bridges. The KOMODO RX-ECO VEGA is compatible with AMD® reference PCB designs for Vega and Frontier graphics cards.